At Griffin Commercial Trucks, we make buying your truck as easy as . . . .1 , 2 , 3 ! Most of your questions will get answered as you read and look at the pictures, so please take a few minutes to do that. Our customers love how thorough we are.The descriptions we provide give tons of information. There's usually a brief highlight section just below the upcoming red arrow and much more information at the very bottom of this page. It's our pictures that tell the real story. We pride ourselves on the quantity and the quality of the pictures we take, helping you make your very best decision. Be prepared, though. You'll see pictures of the good, the bad, and the ugly. We try to take pictures of things you'd look for. Things like loose items; chains, straps, hooks, and such. 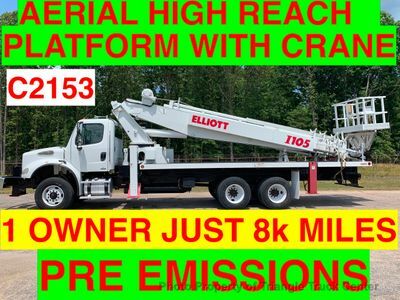 Or like accessories in action; wheel lifts, liftgates, booms, etc. Remember, these are commercial trucks so expect character enhancing scratches, dings, decal impressions, scuffs, tears, discolorations, etc. You'll also see pictures of all of the tires so you can decide for yourself if you think they should be replaced. Each truck we sell is checked through our service department prior to being offered. 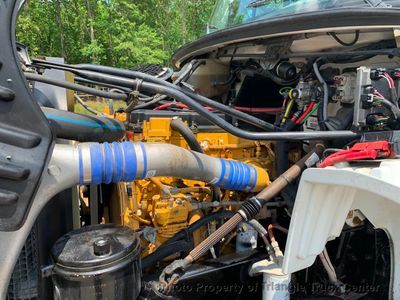 Our service department is more concerned with mechanical condition so sometimes sound systems, door handles, visors, dome lights, low tire pressure warning lights, power windows or locks or other inconsequential items do not work. If it's something we know about, we generally include it in the highlight section. (FYI-Most Dodge's will have cracked dashes. Most GM trucks will have "gnawed on" steering wheels and "lazy" headliners, International gauge clusters work intermittently, etc.) Our customers would rather have a glove box that won't close or a loose door handle over a mechanical issue. We gladly give all the keys we have for each truck, but figure the only key will be for the ignition. Also, figure the fuel tank is empty, although it probably isn't. We'd rather under promise and over deliver than do the opposite. You'll thank us later! First, it means we've earned the reputation, clout, and credentials to obtain trucks at a quality level and from sources that others can only dream about. 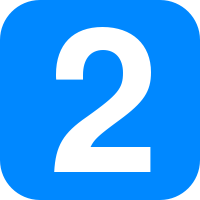 Second, it means we have sources available for financing and/or leasing for all sorts of situations. We can work out payment plans when others can't. Third, it means our trucks are checked through our service department before they're offered for sale. Our clients are important to us and it shows. We proudly serve customers around the corner, around the country, and around the world! Most of our customers choose flying into RDU International Airport and driving their truck home. If you prefer, we have sources for shipping trucks. 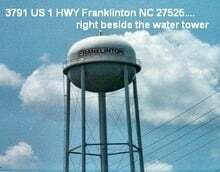 For a ballpark idea of that cost, calculate mileage from where we are in Franklinton NC to where you are, and, if you're more than 600 miles away, multiply by $3.90 (other factors like shorter distances, etc often make that figure higher). We feel our prices represent an incredible value for our customers no matter where they are. We understand that you being where you are certainly affects your logistical costs, it doesn't change the value of the truck. We try to be flexible whenever possible and we are open to reasonable offers. We also take trades of every description. Please take the time to read the additional information and look at the pictures below the next red arrow before you read the following paragraph. You can click on the pictures to expand them. We know by now you've looked at and read a TON of stuff. It's been said that the only dumb question is an unasked one. If after reading and looking, there's something you're not sure of, something you saw or didn't see in a picture, a specification, piece of equipment, or something else, please ask. If you're ready to move forward, please give us a call at 888.494.5561 x316. Ask for the SALES DEPARTMENT and have the Stock Number and the Year Make & Model of the vehicle handy. That will help us get your questions answered quickly and get YOU making money faster with your new truck! WE CAN'T CONTACT YOU WITHOUT GOOD CONTACT INFO. IF YOU EMAIL US A QUESTION BE SURE TO INCLUDE YOUR CURRENT EMAIL ADDRESS AND A WORKING PHONE NUMBER OR TWO SO WE CAN GET BACK TO YOU PROMPTLY. We look forward to earning your business. 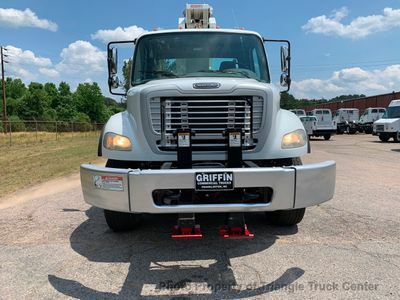 WELCOME to Griffin Commercial UD Trucks and Equipment.We are a franchised UD trucks dealership and part of GRIFFIN FORD (just 12 miles east of us since 1936. 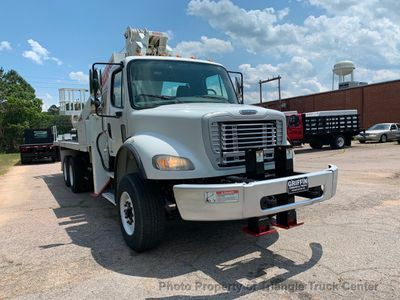 We strive to provide you with the BEST used Commercial Trucks that have the LOWEST mileage and are in the BEST condition for your HARD EARNED MONEY! We are just like YOU!! HARD WORKING AMERICANS that pay our taxes for this GREAT COUNTRY OF OURS! 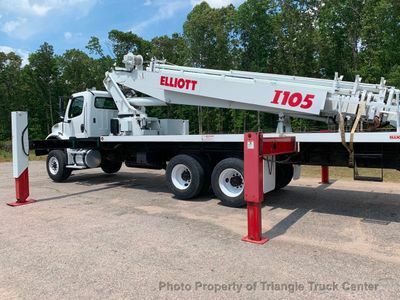 We have over 70 years combined EXPERIENCE in finding these HIGH QUALITY USED TRUCKS! 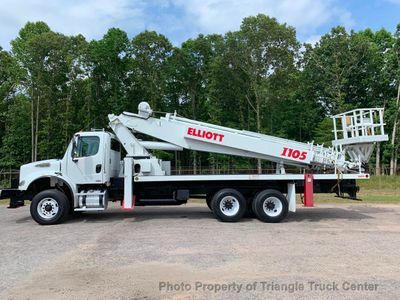 Please look at our entire inventory and you'll see we consistently have the HIGHEST QUALITY TRUCKS! 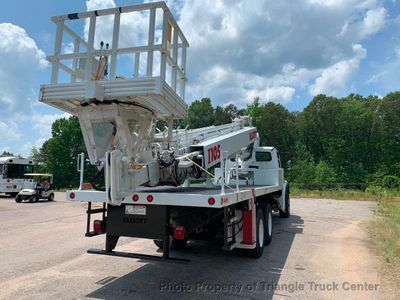 Come visit us at our 10 acre Facility and see our Trucks! We are VERY EASY TO GET TO FROM ANYWHERE! You can drive, take a bus, take a train (AMTRAK) or FLY in (RDU International Airport)and in many circumstances we will pick you up. If you have your own plane Triangle North Executive Airport (LHZ)is just 6 miles from us or if your have a Helicopter come on in and use our HELIPORT (it's our huge front lawn!) If you are interested in a NEW FORD TRUCK please visit GRIFFIN FORD MERCURY at WWW.GRIFFINFORDMERCURY.COM! Please add just $490 to your price for your "Out the Door" cost for all non-North Carolina purchases.We are a low overhead operation and try to pass the savings to you by keeping our prices very low, so this small $490 charge helps pay for your 30 day temporary tag, FedEx of titling package, preparation of titling package and in most cases for service on the truck. So for $490 you see there is value for your money. WE CAN HELP WITH ANY TYPE OF SHIPPING INCLUDING TO ANY PORT IN THE US FOR OVER SEAS CUSTOMERS. Payment in full is generally required upon acceptance. A $490 documentary fee will be added to all purchases and covers a 30 day temporary license plate (proof of insurance required), preparation of paperwork and FEDEX of titling package. NC buyers are also responsible for paying all applicable taxes and fees. Out of state buyers are responsible for all state, county, city taxes and fees, as well as title/registration fees in the state that the vehicle will be registered. Payment method is by WIRE TRANSFER, VERIFIED CERTIFIED BANK CHECK, or CASH. Upon approval some NC buyers can pay with a personal or company check. Offers below our pre-negotiated Cash Sale Price can be made online or by phone. 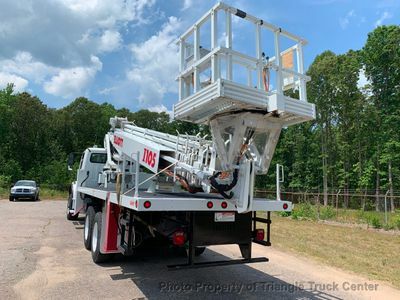 Any offer to purchase must be accepted by Griffin Commercial Trucks. Please inspect all items in person before purchase. ALL sales are "as is". 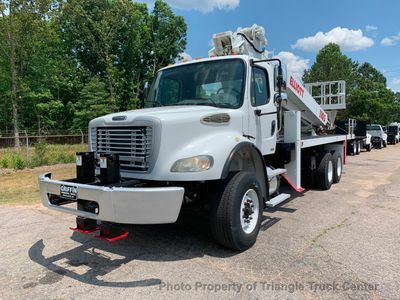 Contact Griffin Commercial UD Trucks today for more information on this vehicle. 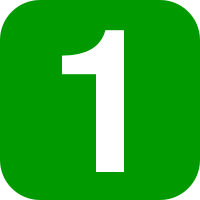 Monday: 8:30 a.m. - 6 p.m.
Tuesday: 8:30 a.m. - 6 p.m.
Wednesday: 8:30 a.m. - 6 p.m.
Thursday: 8:30 a.m. - 6 p.m.
Friday: 8:30 a.m. - 6 p.m.
PRE-EMISSION CAT C13 !! DEALER FINANCING! !